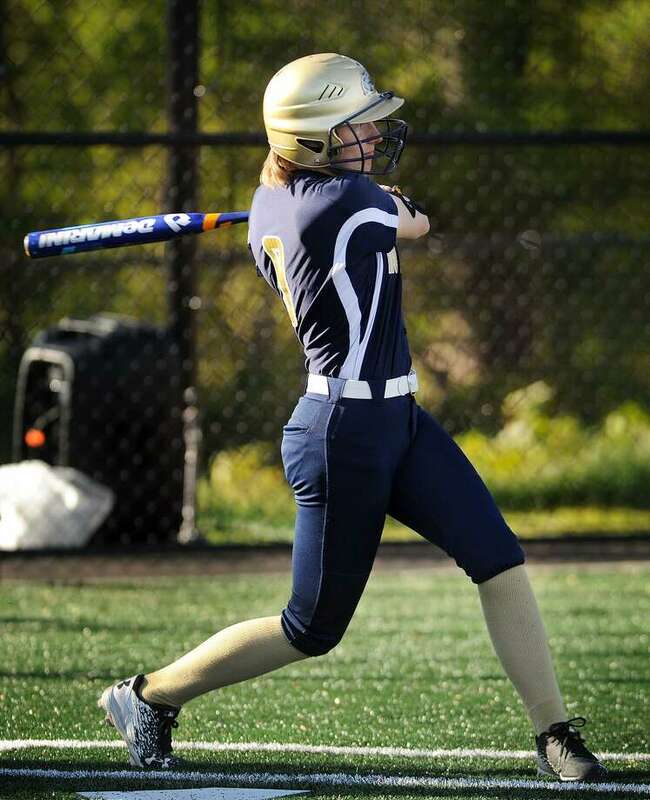 Notre Dame-Fairfield's Lucy Grant will be a key factor in the success of the Lancers’ softball team this spring. FAIRFIELD - Over the course of the first 15 games of the season for Notre Dame-Fairfield, nothing went wrong. However, over the last eight games of the season, nothing went right. From a 15-0 start, the Lancers stumbled down the stretch going just 2-6 and losing in the SWC quarterfinals and the Class S second round. That 18-6 finish would have been a successful campaign for anyone but coach Jeff Bevino. Armed with a solid core of returning players - led by all-state selection Lucy Grant - ND-Fairfield, and Bevino, are out to erase last year’s late season collapse and return to championship caliber. Led by Grant, an All-SWC pick that batted .571 with seven home runs and 50 RBI. She played first base as a junior but will move to shortstop for her senior season. Second baseman Jill Howe, who batted .485 with three home runs, 18 RBI and 23 stolen bases, also returns. All-SWC catcher Micheala Luk, who hit .424 with three home runs and 24 RBI, is back for her senior season, along with senior Tiff Diao, who hit .379 with 18 RBI and 15 steals. She also was 5-1 as a pitcher. Sophomore Breanna Brown, was 13-5 as a pitcher last season as a freshman with 112 strikeouts in 89 innings. She also batted .441 with 24 RBI. Other returning players that Bevino expects big things from this season include: sophomore Clare Tesky (.256, 11 RBI last season), sophomore Marissa Lagoja and junior Meredith McDonald, who saw limited action last year. In addition, freshmen Monica Mojica, Riley Marko, Daitriona Gongora and Izzy Brosseau will also fight for playing time. Coach Gary Quiricone’s squad returns “an experienced team” after going 11-10 last season, losing in the first round of the Class LL tournament. “With an experienced team coming back, we expect to do very well in the FCIAC and State tournaments this season,” Quiricone wrote in his prospectus to the Citizen. Pitcher Olivia Vadas, who went 10-6 last season, returns for the Mustangs, as does catcher/third baseman Lizzie Kane, who hit a solid .385 last season. In addition, captains Gabby Natoli (shortstop) and Katie Goodchild (catcher) - who missed last season with an injury -- also return, as do Gen Tiago, Amanda Petrizzi, Jasmine Castro and Haley Bivens. Quiricone is also looking forward to the return of Sophie Sancho, who battled a shoulder injury last season. When healthy, she batted .395 at designated hitter. New head coach Lou Bunosso takes over for Shari Paci and looks to mold a young team into FCIAC contenders. Ludlowe finished 13-10 last season, losing to Darien in the FCIAC tournament semifinals and falling to Amity in the first round of the Class LL tournament. Juniors Luka Holderied and Jayney Magliocco will be captains for the Falcons this spring. Returning players include: sophomore Elizabeth Doolan, sophomore Kylee Holderied and sophomore Ira Boci.